I’m so relieved to learn that the bumps are normal! Thank you OralAnswers.com! ps. by the way, that is a great photo! Thank you for visiting, Lisa! It took a few tries, but I finally got the camera to focus and my niece to hold still! I was wondering my 7 year old has always had an underbite even with the permanent teeth. She hasn’t had any cavities but would it be a recommendation for her to get braces after all of her permanent teeth come in? The problem is she has a sensitive gag reflex and has to be put into a pupus. Does Traditional Medicaid cover braces for children or anyone oral surgery procedures? I’m also relieved for my son that these are part of the normal development of the tooth. I’m quite surprised that I’ve never heard of this before. Great article thanks. I’m glad you enjoyed it, Alison. Thanks for visiting! I hadn’t heard of mamelons until I started learning about dentistry. I think I kind of noticed them on kids before but never really made the connection that they appear and then get worn away as we get older. Hi my name is James and I have a chip tooth and I have a bump on my gum over it and it hurts really bad. What should I do. I was just wondering if most dentists would be willing to smooth out the mamelons free of charge. Do you know if and how much it costs to do so? 2 – You come in to get a filling and the dentist is already looking in your mouth at the mamelons with a drill in his or her hand. At my dental school, we will do minor adjustments free of charge. I just saw a patient two weeks ago who had a small corner of her back tooth chip off. She needs a crown on that tooth, but until she gets that done, she wanted me to fix it because the tooth was pretty sharp and was hurting her tongue. Since I already had the drill out, I just smoothed it out for her free of charge. If you don’t have a dentist that you visit regularly, then it will probably end up costing you somewhere around $100 since you would have to come in for a new patient appointment and the dentist would not only have to smooth out the mamelons, but would have to re-shape and contour your tooth to make it look normal… It might look a bit flat if the mamelons were just shaved away. I hope that answers your question. I will take a look at the fees my dental school charges and see how much a dental school would normally charge for this procedure. Thanks for your comment! We usually charge anywhere from 50 to 80% of what a private practice charges, so I am guessing it would be closer to around $100 in private practice. Hope that helps! This is really helpful – I’ve had the ridges on my front teeth my entire life (I’m 36). I do have bite issues, for which I recently got braces. I noticed that the ridges were gone this morning on my upper front teeth and was confounded as to how braces could have changed the shape of my teeth!! Now I understand what happened – they must be moving alreayd and my memlons wore off/down. Neat! Thank you for helping me figure this out! Excellent article! That’s great that your teeth are getting back into proper alignment. If you lost the mamelons pretty quickly, your orthodontist might have helped to wear them down by smoothing them out a little bit to make your teeth more symmetrical. Phew! I was worried that the ridges were signs of some form of nutrition deficiency in my daughter! Your article has eliminated my concerns. Thank you! Glad it helped, Chrissy! It’s good to keep an eye on your kids’ teeth though, because a lot of deficiencies and diseases cause abnormal things to happen in the mouth. why the mamelons are absent in decidious dentition ? Hi Arun – While I can’t tell you the exact reason that baby teeth don’t have mamelons, I can tell you that my professors have said that it has something to do with the developmental lobes of the teeth. Although my instructors have told me that baby teeth don’t have mamelons, I have seen baby teeth that definitely look like they have mamelons on them, so I’m not entirely sure on this issue. What age do they go away? Thats good to know, my baby has them! But I figure she like me had a dodgy jaw. I still have them top & bottom at 35. Hello i am 14 and i still have these mamelons. I have an overbight so by teeth don’t rub to gether and my mamelons are really distinctive. I am wearing braces, so do do you think eventually when my teeth are fixed the mamelons will go away? Hi Alyson – Once your teeth are in correct alignment, the mamelons should go away. You can also ask your orthodontist to smooth them down – many orthodontists are willing to smooth them down for you at the end of treatment if you just ask. I hope that helps. Thanks for your comment, Alyson! Good day Sir, my son is 7 years and his incisors are longer and sharper than all other teeth, is this normal? Do they do it for free or u have to pay? My youngest child is 5 months old. His bottom Central incisors are about 1/2 way through. I know you mentioned before about baby teeth may or may not have mamelons. I am kind of freaking out. His clearly have the three little bumps on them. They aren’t flat at all. I have 2 older kids, so I am familiar with what baby teeth look like. Should I be worried? I can’t really find anything online to read about this. Thank you for any info. you can give. Hi Laraine – Sometimes baby teeth can have small points on them. Most likely, there’s nothing to worry about, but if you’re overly worried, you can take your son to any pediatric dentist and they will be able to let you know what is going on. If it looks like two teeth together, there is a possibility that it could be gemination or fusion. I hope that helps, Laraine. Let me know if you have any other questions – Thanks for your comment! Hi, I need top braces only and I have to little teeth that look like vampire fangs so the dentist is going to fix that and give me braces on the top of my mouth.. but anyways I have these little bumps too on my top teeth and bottom ones. Does it hurt to get these smoothed down? what is the purpose of the orthodonist grinding the ends of your teeth before u get braces? Hi Trevor – If you had mamelons, it would help to grind them off so that the teeth are shorter. If your lower front teeth are in front of of your upper front teeth, then it may be easier for the orthodontist to move the teeth by shaving down the mamelons and making the teeth shorter. We haven’t covered this in any of our orthodontics classes, so that’s just a guess. I hope that helps. Let me know if you have any other questions. Thanks for your comment, Trevor! Thanks for reading, Nancy! I’m glad it helped. my granddaughter just broke her new incisor and the dentist is putting a crown on the broken tooth. He is asking if we want the crown to include the mamelons or do we want him to file down the mamelons on the good tooth. What is your suggestion? Hi Diane – I’m sorry to hear about her accident. If it were my daughter, I would probably go with no mamelons on the crown. The mamelons usually wear away after a while anyway, so I don’t see much of a point in adding them. It sounds like the dentist is willing to help the mamelons wear away a little more quickly – that will make the new crown look a lot better. I just wanted to thank you for posting this because I am twenty years old and I still have mamelons on my teeth. I know I have a slightly crooked jaw so do you think that could be the reason why? I don’t have a primary dentist but I have a hard closing my mouth completely because of these problems. Do you have any information on JAW SURGERY as well? Hi Kamaljit – The crooked jaw could be causing your teeth to not come together like they should. If that is the case, then that could definitely be the reason that you still have mamelons on your teeth. If it’s only slightly crooked, it could be probably be corrected without surgery and just with braces. Jaw surgery can be used when there is a severe problem with your bite. 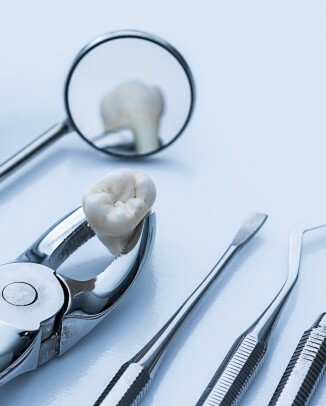 The best way to find out what you need done is to see a dentist/orthodontist to have your bite checked out and to see what is necessary to get your bite to normal. I hope that helps, let me know if you have any other questions. So I’m currently 11 and all of my friends front teeth are flat and mine aren’t so I was wondering when they would get flat? Is mamelon present in primary teeth? I am so glad I found this site when I googled this topic. My son got his two lower teeth at or around 3 months and they stayed until last November/December 2011. When the new ones came in I was so nervous because they appeared ridgy looking (like the pic above). We found out earlier last year that he has amelogenesis imperfecta on all 4 molars. It’s a very mild case so they have a slight yellow ting to them but I’m constantly panicking and watching what he eats, etc. because we had never heard of this before. Research shows that it runs in families and neither my husband or I have it or know of anyone family members with it. The dentist on the other hand said it could have happened if he had a high fever during a teething period as a baby. That sounded more likely because I do remember him having a pretty high fever once or twice. Anyway seeing the ridges made me really nervous and then I started thinking it would smooth away as he chewed and the more his tongue rubbed across them. No such luck but I’m not sure if or how much he’s using the front teeth to bite down. I thought about the tongue thing b/c when he lost the teeth the new ones sat really far back but his dentist said the tongue will push them into place the more it moves across them and sure enough they did. I’m going to watch how he bites down and chews. Thank you for the infor I really appreciate it. I just came across this. I am 28 and I still have pronounced mamelons (both on top and bottom teeth). I have a slight overbite but otherwise my teeth are perfectly straight. Mine don’t bother me, but my 7 y/o’s permanent teeth are coming in, and her mamelons seem downright sharp! I am thinking that at some point she will have to have them filed. 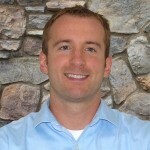 Hi Tom, not sure if you’re still active on this blog or have now graduated dental school, just wanted to say thank you for answering this question. I was pretty concerned b/c my son’s baby teeth were so perfectly straight and white as your niece’s, and then to see the permanent growing in jagged and a little tinge of yellow, not as white as the baby teeth. Now to know it’s normal is a relief! Excellent photo by the way. You are going to be a wonderful dentist! Hey April – I’m still here! I will graduate dental school in May. With all the work of getting everything done, taking board exams and clinical licensing exams, I haven’t been able to update as regularly here. I hope to start writing some more next month. I’m glad the article helped, thanks for your kind words! So I am 15 and I have these bumps on all my front teeth still, I have a very bad bite so thats probably why. I have braces, so when they come off and my bite is right, will the bumps wear off then? Hi Samantha – They may wear off depending on how exactly your teeth come together after your braces treatment. If not, you can ask your dentist to buff them away for you. Names and areas are on the teeth? I have very distinct, discoloured ridges on the front of my teeth vertically, and they are discoloured so they show up. My teeth are also yellow despite me having reasonably good oral hygiene. I had braces a while ago, but I’m not sure if this affects it. What can I do about this as it makes me quite self conscious about smiling. Hi Catherine – Are they like vertical lines that run down the entire tooth from top to bottom, or are they just at the biting edge of the tooth? I have the same catherine..? This is a very old post, but for the benefit of anyone reading this article, you may want to look into crazing. That may be the vertical lines you’re seeing. It’s nothing to worry about. I have braces and one thing they advised was not using toothpaste with whitening. Did you by chance use whitening toothpastes. If so then the areas protected by the braces (the glued part) is not going to be the same color. You may have to do a complete whitening process now that you have had them removed. My 7 month old little boy has recently cut his first two bottom teeth. Both teeth have a yellow vertical line running vertically from top to bottom of these teeth which was evident as soon as they erupted. My dentist has confirmed that’s not decay but just how the enamel has formed. I was so relieved that I didn’t ask any more questions. Is anyone able to elaborate on why this has I occurred and whether it is likely to be the same for all his teeth – baby and adult? I was told that my son has a condition called ameliogenesis imperfecta on the first set (4) of molars. Basically he has a yellowish tint to them because he doesn’t have any enamel to protect from cavities. From what they said the reasons could be we it didn’t make sense (I don’t have any problems/discoloration with my teeth and he never had a super high fever as toddler). I have to be super careful monitoring what he eats and making sure he brushes 3 times a day atleast because he’s much more susceptable to get a cavity. Now this last time we went to the dentist she showed me where he has some new teeth coming up and they did not see any problems thankfully. She also said she did not think he had AI but like you said it’s the way the enamel formed or should I say did not form. If he doesn’t have enamel there’s nothing you can do to get it back. Just watch it, watch how much sugary foods he consumes, take him to the dentist when he turns 1 if your dentist did not recommend it sooner since he’s already cutting teeth and keep those pearly whites brushed several times a day. I have this same issue and I am 20 years old. I asked my dentist if he would file them down and he said he would if i really wanted him to, but he wouldn’t recommend it and that it becomes a domino affect. I don’t know what he meant by that, but he asked me to think about it a little longer. Like most of the people above me, my teeth make me look younger than I already am and I would like them to be evened out. Do you know of the “domino affect” my dentist is talking about? He’s going to be the best person to elaborate on his comment. On the other hand I’m wondering if he meant the fact that once he does this procedure you’ll find something else you want him to improve about your smile/teeth. Definitely ask him to be sure. Is it normal if your age 16 and you still have them? from what my son’s dentist and several of the people commenting have said it is. i wanna kno that why ther r 3 lobes ,why not more or less? Thank you so much for this article. It was the first response to my search in “serrated new incisors” and really made me relax about my 5-year old’s first adult teeth. Thanks!!!! A tiny bit (less than half the size of rice grain) chipped off when my toddler son slammed into me. No sensitivity at all. 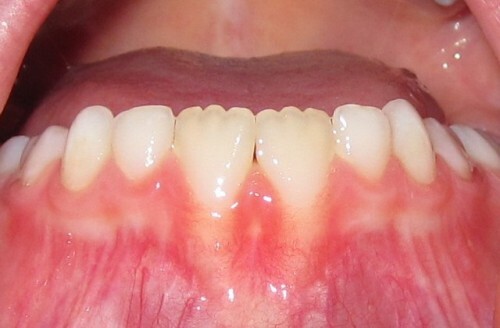 Can i ask the dentist to smoothen the ridges on my front teeth to make the appearnce better. Here is a pic of chipped off front tooth. Of course you can ask the dentist to smooth the ridges for you. My son is going to have one of his shaved at his next vist in November. It’s not chipped like yours it’s more on the front of the lower tooth near the top. Thanks so much for this post! My sons father made me aware of the bumps and said that his uncle also had them. I was a little concerned, but thanks to this article I feel much better and a lot more informed. can u please tell me how these mamelons are formed??? Thank you for the post! i have a question sir..does calcification got to do anything with the development of mamelons? I’m 13 and have had these on nine of my front teeth for as long as I can remember. I’ve currently got braces (train tracks) on upper and lower sets of teeth, but these should come off soon! I’ve heard about getting them smoothed down when I’m an adult, but how far away is that?! My teeth are horrible, I feel really self conscious with these stupid bumps. Oh and not that I particularly want to try-just out of interest,- would a regular nail file/Emory board do the trick? Hi Emma – When you get your braces off, it would be a good idea to ask your dentist or orthodontist about smoothing these down. Not that you’d actually try it, but an emory board would eventually work, it would just be really slow, and it would probably be like nails on a chalkboard and give you goosebumps. Another problem is that if you accidentally took off too much of one tooth, you would have to have a filling to add back the missing tooth. Good luck getting your smile just the way you want it – have a great day, Emma! Hi Emma I just read your post and I can totally understand where you’re coming from. You’re going through a bit of an awkward period in life but trust me those train tracks you have now will come off and be the start on a whole new beginning for you. Teeth are very special and sensitive. I would not suggest using a file or anything other than a toothbrush and floss for your teeth. There are nerves in both your teeth and gums for sensation as well as protection. You don’t want to run the risk of damaging those nerves by doing something without a professional (dentist) opinion. 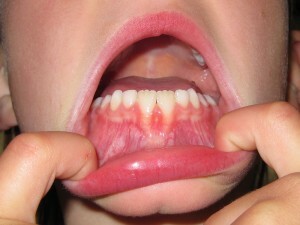 I would suggest talking to your parents and/or dentist about your concern with the ridges/bumps on your teeth. You probably want to wait until the braces are off and your teeth have been straightened, and then perhaps you can have your teeth professionally filed down. I’m sure once you have the braces off and your teeth filed down you will have a smile to die for. Best of luck from one with train tracks at 37 to another at 13. You’ve got it so good b/c you’re just beginning:) and it only gets better!!!!!!!! I was so shocked tonight after having noticed my 5 year old’s ridges on her 2 new bottom teeth. I was so scared I thought it was some dietary deficiency. I was planning to make appointments with her dentist and pediatrician first thing on Monday. Then I thought let me research this… And that’s what led me to this website. I am so relieved now! Very good article. Well presented and easy to understand! Thank you. Thanks Catherine! I’m glad it helped – Have a great day! I am 16, and I have the ridges on my teeth. When I bite, my front teeth do not touch each other. I have had these since I was about 6. They havent smoothed or anything. Should I worry that my teeth will stay like this forever? I’m 14, and have mamelons on my front tooth. It’s very minor, hardly noticeable, and I hope it will go away after my overbite is fixed, but I would like to know who to ask if I wanted to get it filed down? My dentist or orthodontist? It won’t hurt to ask both and see if it’s something they can do, what the process entails, how often do they do it. My 2 year old has a single vertical yellow line on both of her top front teeth. Other than that, her teeth are beautiful. We brush at least twice a day…. What could these lines be from? Just wondering if you ask you daughter’s dentist about the yellow line? At this age she should be going to the dentist if she isn’t already. She may or may not be a little scared, but it’s worth it in the long haul. Because of the condition my son has (no enamel on his molars) he ended up with a cavity. I took him at 3 and he wouldn’t let them x-ray his teeth. When we went back for his 6 month check I guess he felt more relaxed and was able to get the x-rays. Park you need to talk to your dentist about this because if you’ve had them all this time (20+ years) they’re not just going to go away when your braces come off. You may have to have them professionally filed down and that’s where your dentist will come in at. Does getting the teeth filed hurt? I have slight ridges on my teeth that I want to get smoothed once I get my braces off. Hi Alexis – It won’t hurt, as your dentist would just be filing down a little bit of the enamel layer, which has no sensation. You may just feel a little vibration on your tooth as the procedure is being done. I hope that helps! Does this include the surface of the teeth? His was on the front of the lower tooth just below the mamelon. Hi, thanks for the great article! I’m 14 and I just recently learned that I’m getting my braces off very soon. I still have slight ridges on some of my teeth (probably due to the overbite I had) and my ortho said that he could file them away after he removes my braces. I was just wondering, after he shaves my teeth, will they retain their shape? Or will they become bumpy again? Thanks. Hi Lucy – Thanks for your comment. Once they are filed down, the change is permanent. Just make sure you’re happy with how they look afterward in the mirror (shape, symmetry, etc.) Good luck with the rest of your braces treatment! Even though you’re scared, don’t be so scared that you cannot get involved in your treatment. You’re asking a good question here on this site which makes me think that at 14 years old you may be mature enough to talk to your dentist and ask him/her all of your questions no matter what. Your teeth have nerves so I would think that the dentist may numb you, but in all honesty I really don’t know. I would say talk to your dentist since that’s the person that will be doing to work. So happy to have found this post. My 20 month old son has very pointy, jagged teeth. We have a pediatric dental appointment scheduled, but would really like to hear your opinion. I have searched the Internet and not seen any teeth that look like my sons. We recently visited the ENT and she said she’s never seen teeth like his. His daycare provider said the same thing. Otherwise he appears to be developing normally. I will try to post a pic. If he appears to be developmentally normal then you probably shouldn’t worry. Just wait for your pediatric appointment and see what he/she says. Especially since (I’m guessing) these are probably his baby teeth and the permanent ones may look totally different (good or bad). Does he bite down with his teeth when eating? As I noted in one response these are my son’s permanent teeth with the mamelons. One thing I was told by his dentist, and I notice it too, is that the more you use the teeth (bite down) they will eventually file down more reducing that mamelon look. My son tends to bite down using the sides of his teeth. The mouth and your teeth are very interesting. When he lost his two teeth, the ones just below the two we call bunny rabbit, I noticed that they were positioned pretty far back from the others. The dentist told me that’s normal and said that talking and moving the tongue over the teeth will help them move forward into place, and they have. Great article. Very reassuring. Thank you. I am attending dental hygiene school, and I have been assigned a project on the mandibular central incisors. This article and your comments have been very helpful in teaching me about mamelons, and I was wondering if I could have permission to use your photos with credit to you for my presentation. Hi Betsy – That’s fine, thank you for asking. Good luck with hygiene school! Just wanted to update. I took my son to the pediatric dentist and he said he has never seen teeth like this before. He took pictures and said he would do some research. He said maybe it’s twinning, but he’s only seen it in a single tooth. My son has four bottom and four top that have two jagged peaks each. But, like I said before, he appears to be developing normally. Right on track with speech / language ( I’m a speech therapist) and fine/gross motor. I’ll update if the dentist gives us a dignosis. Hi Sharon – Thanks for the update! Please let us know if you find out anything. Are the bumps much more pronounced than the mamelons in the above picture? Have a great day! I really wish I could post a picture. His teeth are difficult to describe. The bumps are more pronounced than the picture above, the bumps are uneven, and the teeth are also mishapen. Our pediatric dentist suggested they look like Hutchinson incisors. However, these usually only occur in the adult set of teeth. Also, Hutchinson incisors are caused by congenital syphillis. None of us have syphillis. So we are at a loss at this point. I’d be happy to post a picture or to send you one if you tell me how / where. Hi Sharon – You can use this contact form to attach an image file and send it to me. I can take a look and let you know any other possibilities. Thank you for this article. I will be 30 in a couple of months and I still have mamelons on my front top and bottom teeth. It just recently dawned on me that you don’t see many adults with them on their teeth so I wanted to make sure mine were okay and this article was very helpful. Mine are perfectly straight…no overbite or underbite. And I receive compliments all the time on how beautiful my teeth are. Thanks again! I’m 12 years old and I’ve had my permanent teeth for about 4 years now. I have those bumps on my teeth but I also have an overbite. Aside from that, my teeth are pretty much straight and I don’t really need braces. Do you think there is another way to get rid of the mamelons or do I have to get braces to get them fixed? Like Tameka, I still have mamelons at 58 yrs old and my teeth are gorgeous and perfectly aligned. I’ve also rarely been found to have cavities. Of all the places to attack someone. Lol, you must really not have a life. CONGRATULATION!! So now you are a DENTIST. Tonight, Jan 24, 2014 was my first time seeing and reading your blog. You’re so kind. I am 40+ and STILL have mamelons! I wore braces for a few years in my 30s. My teeth have now occluded yet the M……. won’t go. Don’t like the word though. Thanks, June! I removed your email from the site – it only came up since you typed it in the webpage box. As far as the mamelons, if you don’t like them, your dentist can smooth them off with a sanding disk. You wouldn’t need to be numb and wouldn’t feel anything. Have a great evening! Hi, my daughter has had 5 teeth erupt all will the same look the her mamelons. Now her 6th tooth front top right is erupting and it seems flatter and with less predominate mamelons-is this a sign something is wrong with the tooth? happy to hear that this is normal. my daughter gads beautiful teeth and spacing. so when the adult teeth on the bottom came in with bumps i was concerned. glad to hear that these will wear down. Ask your orthodontist. I went last week and he filed in between my two top front teeth to even them so that there’s no gap when the braces push them together. I didn’t think abt it at the time but I have a slight ridge that needs filing. Hi Irina, I would like to know which health problems her large mammeleons may be associated with. I had my son via annonous egg donor and do not have any health information. My pediatric dentist , who we saw two days ago, is still at a loss. His pediatrician has no idea and we visited a oral facial surgeon who had no idea. Any help would be greatly appreciated. Thanks! 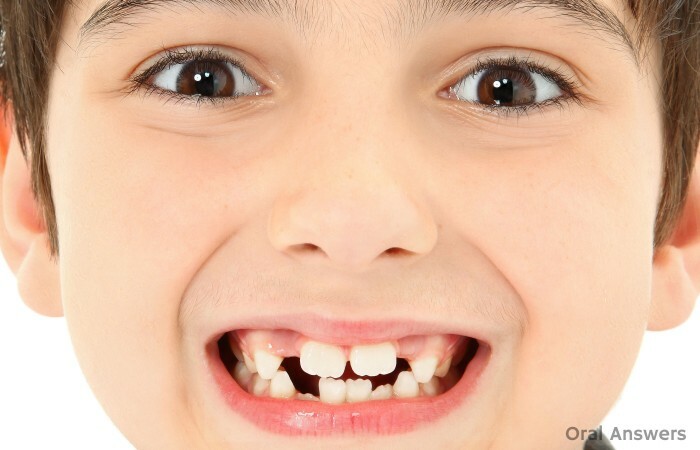 Ok so I lost my front and bottom teeth around the age of 6 and I am now about 14 and they still have not gone away… They look exactly like that picture and I noticed what you said and I have just a tiny overbite and so my teeth don’t touch when I chew… Can I get them sanded down or whatever? You should be able to get them filed down. Talk to your parents if you haven’t already. Depending on you last appointment they may need to make you a new one for this consultation and possible referral. Make sure you express all concerns with your dentist and ask lots of questions. I’m not sure if you would need to see a specialist but this is definitely something that can be corrected. Best of luck! Wow. This was a weight of my shoulders as my first child did not have these. But now I see its very common. My son and I call them shark teeth. Hes now happy with his bumpy teeth. Thank you so much for putting my mind at ease! I was very concerned when my son’s teeth emerged with this going on. This piece of writing is genuinely a good one it helps new web visitors, who are wishing for blogging. Try giving your child (crunchy, slighty hard) foods (i.e. fruits/apples, carrots/raw veggies) that requires him/her to bite down using their front teeth. If that doesn’t help then talk to a dentist or orthodontist about having their permanent teeth evenly filed. I have braces, and I’m scheduled to have them removed this August (yea)!!!!!!!!! Even though I don’t have mamelons I did have a concern with one tooth. I didn’t feel like the part that you bite down with had a smooth feeling to it and during my last appointment my orthodontist filed it for me. Now I can feel and see the difference and I love it! I’m basically saying mamelons don’t have to be an ongoing concern. 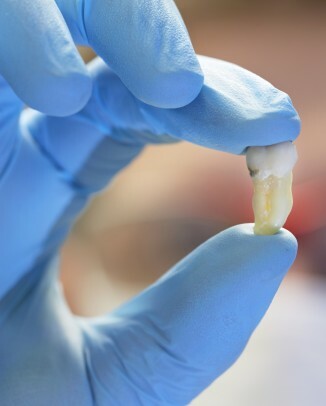 You can get your teeth filed down with no harm done to the overall tooth. I have had my mamelons for 4 years why have they not gone yet? Hi im 15 and I have really bad mamelons on all my top and bottom incisors, I have always been so self conscious about them and when I asked my dentist if she could remove them she refused and said they would wear down by themselves, but I dont think they will because I have an overbite so they never hit off each other. I have also already had braces which didn’t improve them since my overbit just came back worse:( they drive me mad and I hate smiling because of them 🙁 I dont want to learn to love them as many people say because its not as easy as that 🙁 what should I do!? I was still a little unsure after reading as to whether the mamelons wear away or fill in. Would you be able to clarify please? Help, my daughter went to the dentist and he filed down her front teeth and never explained and never told us he was going to do it. Now my daughter is worried about her two front teeth and said she hates it. Sound like she had these ridges and she loved them. Please help ‘Why would any dentist change her appearnce without telling her? IM a 14 yr old with mamelons. is there still any chance I can get rid of them without having my dentist smooth them out by eating hard foods? if there is… what “hard foods” do you recommend I eat to get rid.of them.the fastest? Hi, I’m fifteen and have had my braces for almost two years. My teeth are almost in alignment but my orthodontist has never fixed my mamelons. Is there a specific reason for this? I am almost 12 and I just got my top braces December 12 2014 and I am set to have my bottoms April 2 2015 and I was wondering, since I still have mamelons could I get my teeth filed could I do that with my braces or would I have to wait to get them off and another question: if I wanted to get my bottom teeth filed before I got my bottom braces could I ? Please go and get your child proper dental care! I am a young teenager who has not been to the dentist in about seven years. I have mamelons because my teeth desperately need braces. My awful teeth drain my confidence, and there is no was to fix them because my mother will not take me to the dentist. 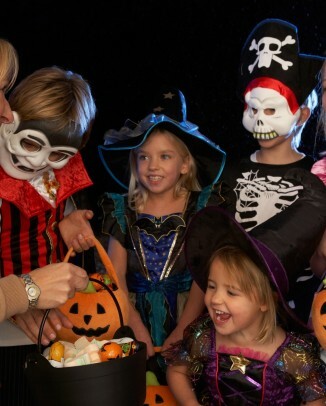 Spare your child of emotional scarring– get their teeth checked regularly! I’m 27 and I’ve still got mine, I have a small overbite so they were never worn away. I don’t have 3 though, on my bottom teeth I have 4 and on the top two I have 5. Is this still normal? I’m almost 11, and I still have mamelons, what age do they normally go away? So pleased to know these are normal! My nine year old daughter has very noticeable mammelons on her upper front teeth and I was beginning to worry. I’m 14 and still have these bumps ? I’m confused on why they haven’t gone when my 11 year old brothers had gone ! Why hasn’t mine ? I am 28 and still have these. I’ve never been told by the dentist what they were or why I had them is nice to know I’m not the only one lol. Do they ever go away or are they like this for ever ? hey.. can someone please tell me what are the types of mamelons and its other name?? I am a teenager (14) and I still have mamelons. my brother (12) still has his too. I don’t know if this is because I still qualify as a “child” but it’s not because of how my teeth are placed, they didn’t grow in right at first but since I’ve gotten permanent teeth I’ve had braces and now they are aligned. I don’t know how I feel about getting an enamoplasty because they’re not that big of a deal but I was just wondering if they will go away eventually. thanks! I came out of orthodontic care while ago and still have these bumps on my front teeth. They are VERY visible. I am almost 20. Is there a certain age where the mamelons won’t wear off naturally? Say, your child got braces (because of the alignment of the teeth and of the way they bit) and took them off when they were 12, will the mamelons dissappear on their own or is a professional’s help needed? Man, I thought that my front teethe had lost enamel. Thanks for that! Thank you for putting my mind at ease for my son’s newly emerging teeth. What a relief. I seriously thought I had completely failed at nutrition or something. I can relax. I’m a dental nurse and have never noticed this until my daughters lower adult incisors stated growing through. Hers are very bumpy but I’m relived it’s not permanent or at least it can be corrected!! I’m so glad I read this article because I was just starting to get concerned with my 7 yr olds teeth. His both top teeth aren’t fully grown yet but since his permanent teeth are barely coming out I just noticed these bumps on his teeth. Thanks for educating us on this. My upper teeth part and downer teeth part aren’t aligned so I chew with my back teeth, is that normal? The front of my teeth do not touch and and aren’t in alignment so I chew mainly with only my first and second molar. Is this normal and what is the chance that my mamelons will stay. I’m 15 years of age so my teeth aren’t fully developed. I am 12 years old and I still have a problem with mamelons and I also have an overbite. Is that why the mamelons are not going away???? i turn 16 in December and all of my teeth are like this. every tooth. Hi. Isn’t there any alternate option to cover yhese mamelons as they don’t look good at all. I am 18 and have got those. i’m 18 and i still habe bumps on my front teeth. any way to lose them? Hi! I’m 14 and still have mamelons. I’m not sure if it is too early to tell if they are permanent or not. I lost my 2 front and bottom teeth when I was around 7. My teeth are pretty straight for the most part, even though that may not have anything to do with it. I was wondering, if they are permanent, what age would be a great time to go and get them smoothed out?